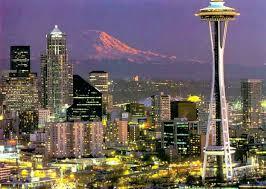 The AAN (American Academy of Neurology) meeting ended in Seattle today. These types of meetings generally draw physicians and other healthcare professionals from all over the world. Now that the news about swine flu has spread globally, I wonder what these physicians will encounter when they return to their native countries. I hope they don't get quarantined at the first sign of a sneeze! Modern technology has made it so easy to travel these days. In turn, it's now so easy to spread germs across the globe.